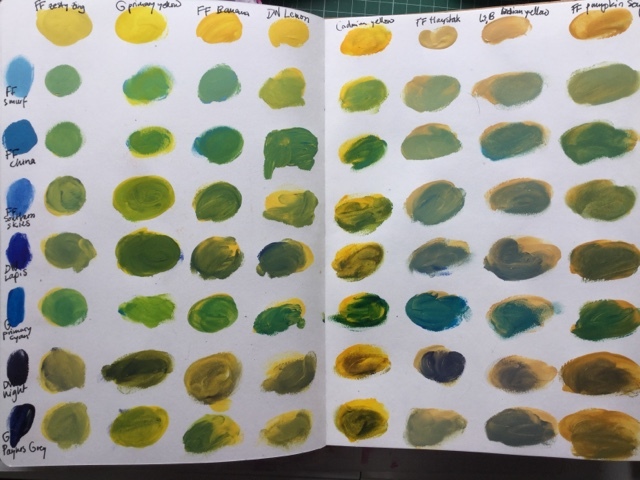 The Paperartsy colour mixing challenge has been an inspiration. 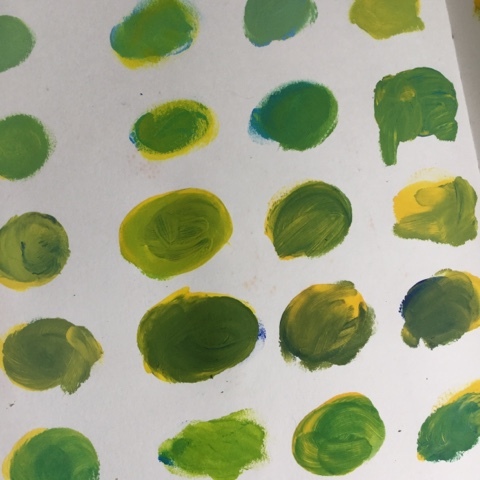 I always lack nice greens, so after looking through Liz Borers lovely post with colour swatches, I wanted to try some greens. 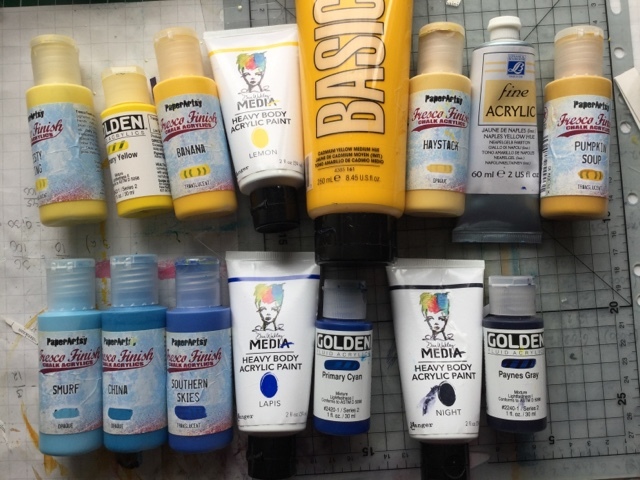 I'm a whole lot lazier, so I didn't go through all the shades, just messed around with my fingers, making a single blend of each yellow-blue combination. 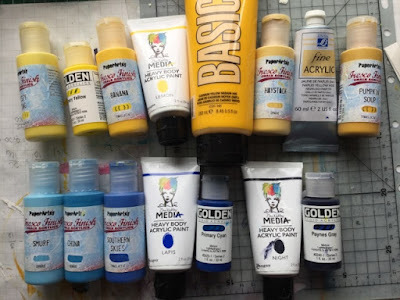 I should probably dedicate a whole art journal to different mixing activities. 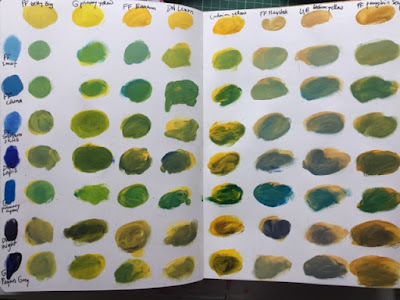 It would be so cool to know how to work forward from plain primaries and on the other hand to use all these ready-made blends in different creative ways.